Known for their wide range of townie and electric bikes, Californian company Electra has been acquired by Trek. Founded in 1993 by Benno Bänziger and Jeano Erforth, the company turned $30,000 of savings into a company that helped define the cruiser and eBike market. The company was small enough to outflank and out-design the larger companies that sought to get into the market. 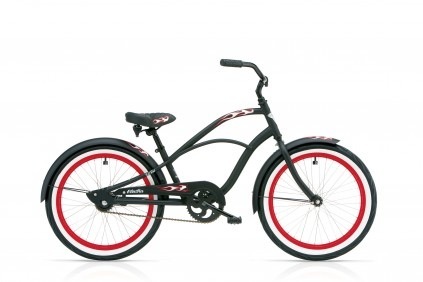 Companies like Specialized and Giant have cruiser bike lines, but they’re not nearly as popular as Electra. Electra created a line of inexpensive and attractive cruiser and “townie” bikes that have been tremendously popular with customers. Several self-described “non-cyclist” friends of mine have purchased Electra townie bikes and cruisers because they appealed to their childhood love of bikes. That’s good news, as Electra seems to be doing well on the design and PR fronts. We’ve worked with the folks at Electra on a number of occasions and they’ve got great vision and passion for what they do. As Trek is known for taking existing brands and relegating them to a branding tool (see: Bontrager, Gary Fisher) having Trek provide assistance for development and distribution but let Electra do their thing is great news. The Electra line will also continue to be operated out of their California offices, rather than move to the Wisconsin headquarters of Trek. Again, this is probably a good move as the spirit of the townie bike is more rooted in the warm-weather comfort of California than in chilly Waterloo. Trek isn’t strong in neither the crustier nor the eBike market, so this partnership with Electra will allow the company to capture a market segment they’re historically weak in without having to bring on staffing and tool up for new bike models. This move will reduce the risk on both companies as they go forward. So what does the future look like for Electra? Well for one thing, it’s a pretty good bet that you’ll see them in Trek dealerships while they continue to push forward into other regions. Certainly this makes their eBike market look more long-lived and viable—if a company like Trek wants to invest in Electra then the leaders of the eBike world were right in their assumption that people want to embrace the enhanced bike market and are looking for alternative, green transportation options. Previous Previous post: Schwinn Releases What Looks Like Worst Bike Accessory, Ever.